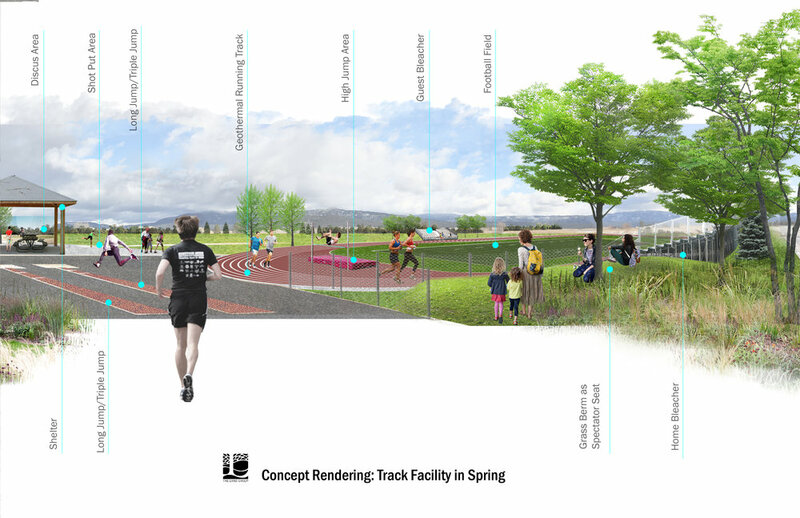 Cascade High School Track Facility — The Land Group, Inc. 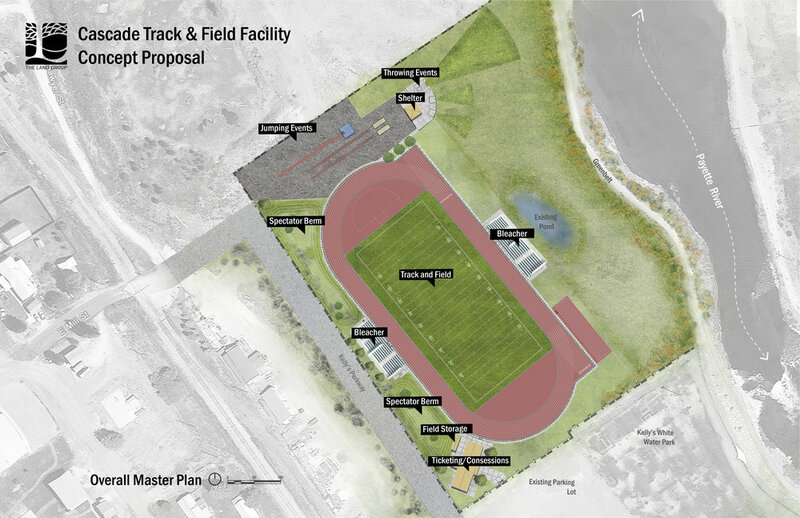 The Land Group is designing a year-round track facility for Cascade High School. 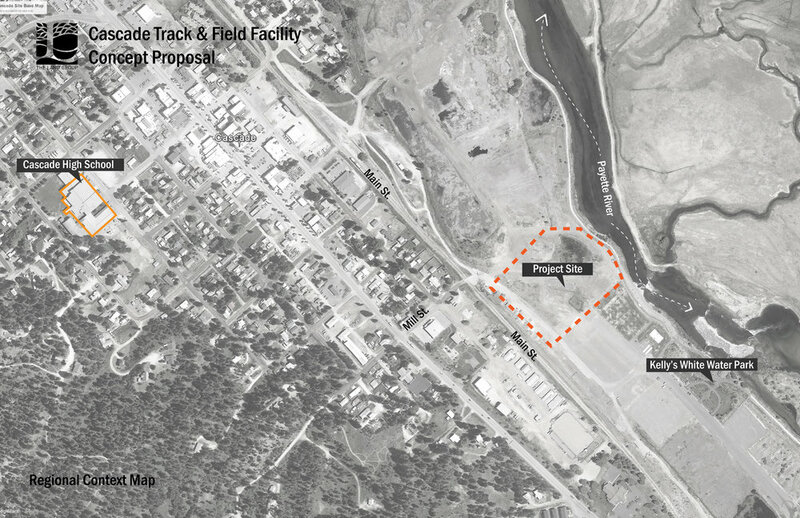 The facility will be located north of Kelly’s Whitewater Park in downtown Cascade. It will utilize Cascade’s natural resource, a geothermal spring, to create a heated track surface which will allow it to be available for the school and the community to use throughout the winter months by melting the snow. Moving forward of this project will be dependent on the successful bond measure in May 2018.